Having identified international politicians, business leaders and celebrities involved in webs of suspicious financial transactions, the International Consortium of Investigative Journalists (ICIJ) is now being asked by tax authorities to provide access to the 11 million leaked documents it has been handling over the past year. Meanwhile conspiracy theories are running wild over the source of the leak, which insisted on communicating using only encrypted channels. Data leaks are becoming more common but also getting larger. The Panama Papers leak contained 11.5 million documents that were created between the 1970s and late-2015 by Mossack Fonseca. The 2.6 terabytes of data is equivalent to 200 high-definition 1080p movie files and far larger than the Edward Snowden trove. The Panama Papers show a world of tax evasion and tax dodging. The actors achieve their goals by establishing networks of off-shore companies, some of which completely hide the ultimate beneficiary ownership. Untangling such networks with conclusive proof on individual entities requires a clear view on activities in rich context. Technology helped the ICIJ with digging through vast amounts of digital data, but it still was a slow and tedious process. The latest technology from SynerScope demonstrates how to deliver speed at scale for such tasks. Its ability to fast linking of disparate data results in ultra-rich context at speed. In record time SynerScope was able to reveal from the Panama Papers1 all entities; people and companies, and their various relationships and locations involved. 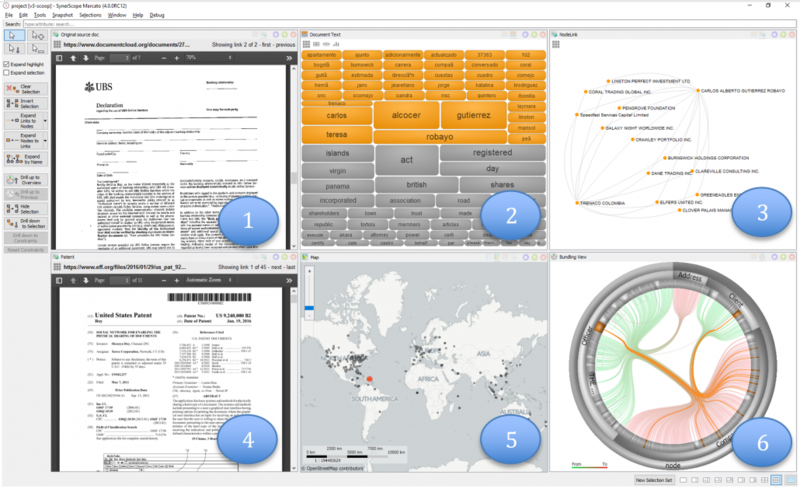 The relationships and entities are expanded with the unstructured data of original text and image files. We show this in the screenshot below by quickly adding-in original patent documentation for those owners whose name also appeared in the Panama Papers. Tile 1: The original document from the Panama Papers. Tile 2: Helps to determine the topics specific to your selected (orange) sub-network. Tile 3: Shows the network in detail. Tile 4: The original USPTO patent document. Tile 5: Shows the location of selected (orange) versus non-selected (grey) entities in the network. Tile 6: Shows the selected sub-network (orange) against the network overview of all connections. SynerScope is able to add even more context like similar data from other leaks (SwissLeaks, LuxLeaks, OffshoreLeaks) and Chamber of Commerce data from various countries depending on who is looking. Our technology provides context at high speed, saving thousands of man days of data research. 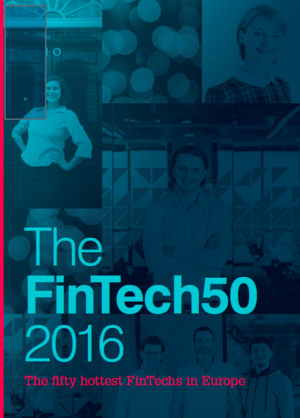 On April 5 was announced that SynerScope is selected from over 1200 companies in Europe as one of the FinTech50 2016. We are proud to belong to this select group for a third time in a row!